What to do with Wyoming's wild horses? Nothing speaks more powerfully of the American west than the horse. No Western film would be complete without a cowboy and his trusty steed. But the relationship between modern-day ranchers and the wild horse is under strain. Ranchers say the horses are eating valuable forage and want them removed from public and private land. 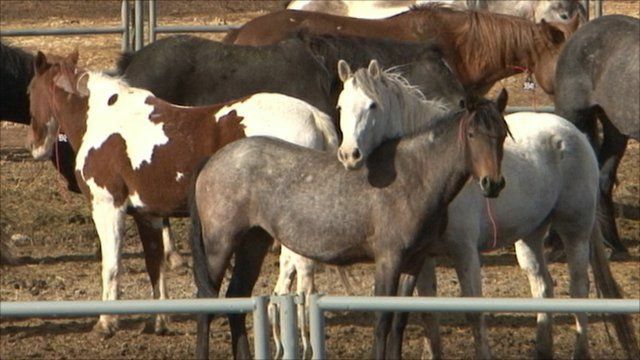 Conservationists say the wild horses are being hounded out of existence.